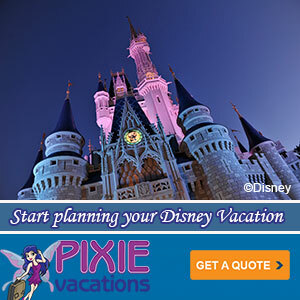 The Disney Blog contributor Megan Prine recently returned from a trip to Disneyland Paris. 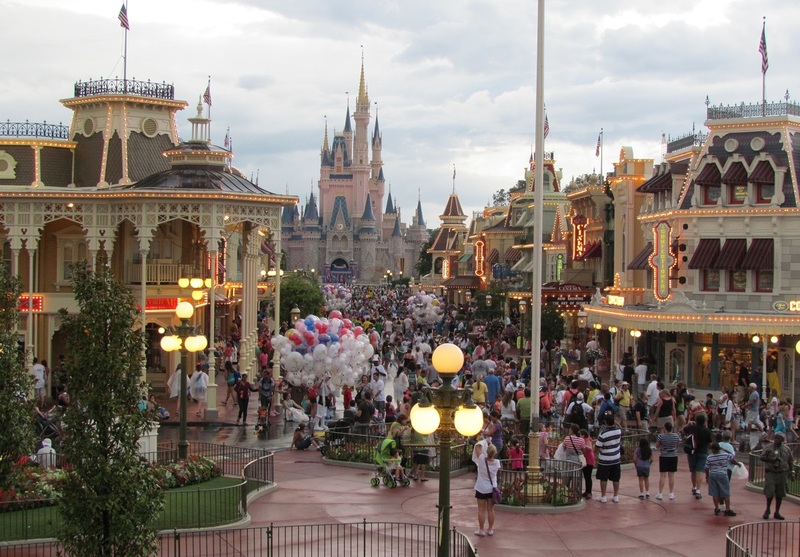 This is the first of several posts in a short series that will give TDB readers a peek inside DLP! If you find yourself at Disneyland Paris, you will have lots to choose from when it comes to Disney-themed hats to get you in a zip-a-dee-doo-dah mood! 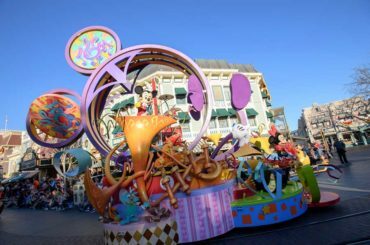 Let’s take a look at what you will – and surprisingly won’t find – trending when it comes to hat fashion at Disneyland Paris. Plush Hats: There were lots of these oversized plush hats to be found throughout Disneyland Paris, some of which are adorned with mini Disney plush characters, like Mickey, Goofy and Donald. 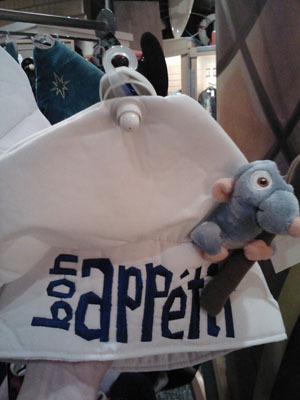 This chef’s hat featuring Ratatouille’s Remy is très chic, and oh so French, oui? 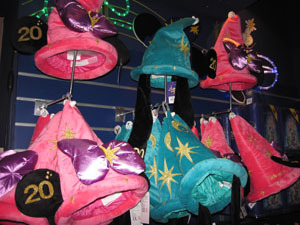 Sorcerer Hats: Fantasia-inspired sorcerer hats celebrating Disneyland Paris’ 20th anniversary are also a popular item. 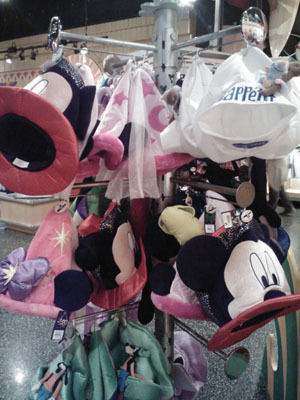 They are offered in Mickey, Minnie and Goofy ear styles and feature an embroidered gold “20” on the right ear. 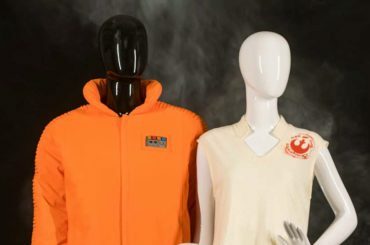 What a great collectible…come to think of it, I should have purchased one! Cowboy Hats: Yee haw! 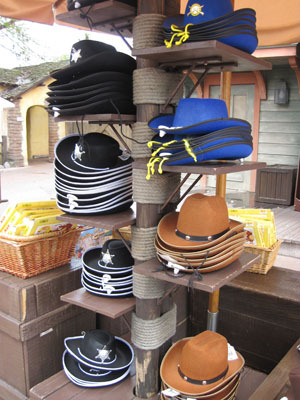 Frontierland was in no short supply of “American Western” style chapeaus. 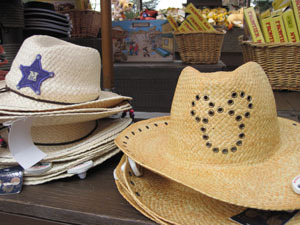 Guests have their choice of cavalry, sheriff, traditional “rawhide” and two styles of straw hats including one adorned with a riveted Mickey. So, you may be asking, just like I was, “where are the Ear Hats”? This headwear staple of American Mouseketeers is noticeably absent at Disneyland Paris. 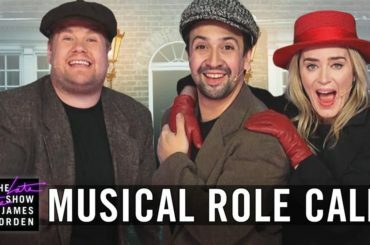 One theory is that Ear Hats are a strictly American phenomenon, tying back to nostalgia related to the broadcasts of the Mickey Mouse Club. Whatever the reason, as a collector of Ear Hats, I kept my eyes peeled for them, figuring that at the very least, Disneyland Paris must carry the classic black Ear Hats. 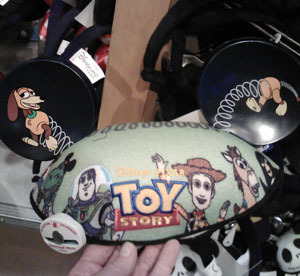 At the end of day one, I stumbled up on this solitary Toy Story pair at the Disney Store in Disney Village. (Literally, there was one pair on the rack). Throughout day two the story was the same at every shop. Plenty of plush hats, sorcerers hats, cowboy hats and headband -style ears, but alas no Ear Hats. That is, until by some fate of Disney magic near the end of what was our last day at Disneyland Paris, I spotted what appeared to be a single rack of red and white polka dotted Ear Hats (mixed in with toddler clothing) in Frontierland’s Tobias Norton and Son’s shop. 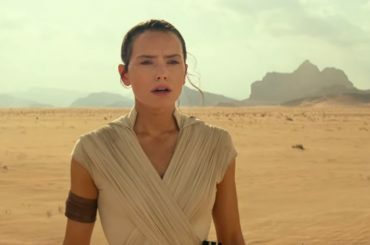 Could it be? I made a beeline for the shop and my eyes weren’t deceiving me – yes, Ear Hats! I took a few moments to peruse and choose just-the-right pair (as any Ear Hat collector knows is essential) and proudly donned that Ear Hat – with the ginoumous shiny red plush bow no less – for our last hour in the Park. 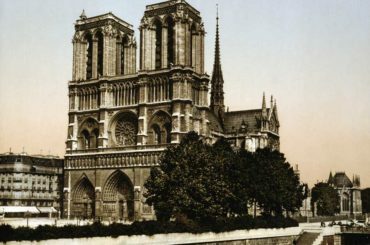 And though I was the only one taking that fashion risk, I like to think that maybe Ear Hats will catch on at overseas Disney Parks, and I’ll be able to say that I am a Paris fashion trend setter. 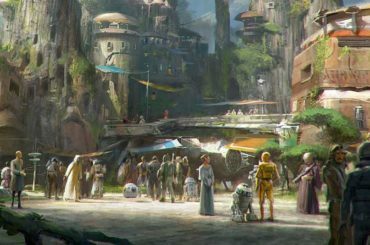 Megan Prine has a reputation among her friends as a "Disneyland Nerd", earned thanks to her frequent trips from the soggiest place on Earth Seattle to the Happiest Place on Earth. 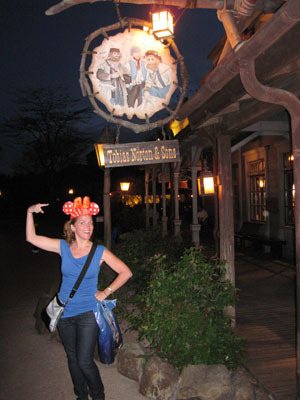 She's been halfway around the world to Hong Kong Disneyland, but has yet to make it to Walt Disney World (go figure!). Megan (sounds like "vegan") is a fan of classic Disney movies, some of her favorites include The Parent Trap, Swiss Family Robinson, Babes in Toyland and the Silly Symphony "Skeleton Dance". Her mantra is that life is short, so we owe it to ourselves to make time for more fun and adventure than we think possible. 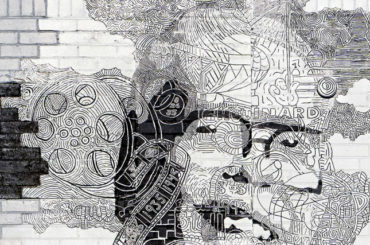 Can also be seen on: Twitter as @meganprine, Meegie's Disneyland Tips, and Adventures With Barack, which follows the shenanigans of a certain presidential action figure.